Last month, I blogged about an unfortunate advertisement for white lead paint in the November 1940 issue of Agricultural Leaders' Digest. 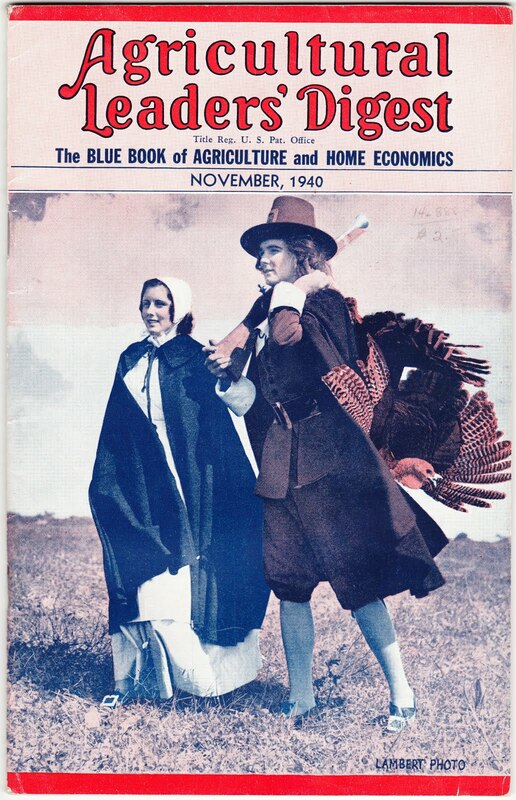 Today, with a too-early Thanksgiving fast approaching, I thought I'd share the cover of that issue. It's a Lambert Photo, and it features two people dressed up in Pilgrim garb. The man has what looks like a blunderbuss over one shoulder and a large, dead turkey slung over the other shoulder. Clearly, they have a wonderful Thanksgiving feast ahead of them, as long as the woman doesn't burn the Stove Top stuffing and has access to a can opener so that she can prepare the cranberry sauce. And they'll need a dessert, too. 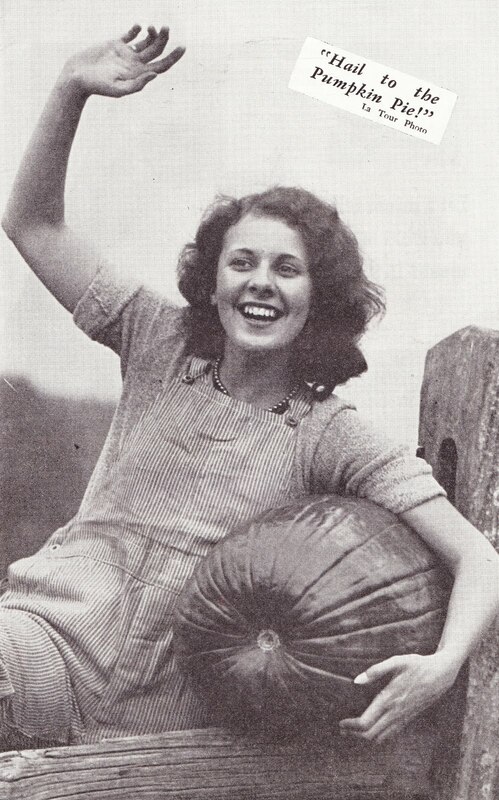 Perhaps the woman in this photo — from another page in the same magazine — will come over with her large pumpkin and they can make some pie. and after it's cooked, look out for those little lead balls hidden in the breastmeat. There's your lead issue again.